Mediator personalities are true idealists, always looking for the hint of good in even the worst of people and events, searching for ways to make things better. You pretty much nailed it Teigs. It was meant to be fun and insightful, or at least, that was my purpose in posting so initially. It got less and less fun the more it was picked apart and interpreted to be an all-encompassing definition of one's entire being. I felt like my result was pretty good at nailing down certain aspects I've recognized within myself. As someone who loves studying psychology and the human condition, I wanted to share this information with the community. I thought that in doing so, it might elicit a thoughtful and healthy discussion on how we interpret ourselves vs. how others seem to define us. You didn't prevent anyone from having fun Tarn. I hope that you don't see it that way. 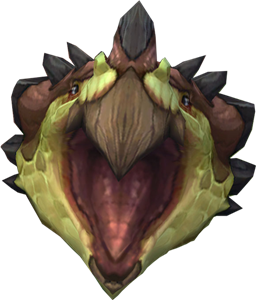 All I wanted from the experience was for you to have some fun with it. I really admire the fact that you were so accurate with your answers. I don't think I've ever come across someone who has resulted in that much neutrality with their results. I find it fascinating to consider what that may mean on a deeper level. I love weird people. They make life much more interesting! Nah, Tarnfalk, I don't think you ruined anyone's fun! See, this is why my assessment of my personality makes me go "hmm". As a "mediator", I'm supposed to be unfailing empathetic, to a nigh on psychic degree. But I regularly say/post things that apparently hit other people like a wet blanket. Or cement truck. And I don't say things with ill intent, in these cases. I'm certainly not an angel. I get snarky. Often. But, what I'm talking about is when I think I'm just saying my opinion or setting facts straight, and then I realize I crushed the other person's enjoyment or they think I'm being mean. It's confusing. And as a proper INFP "mediator" I shouldn't have that problem! I reaaally doubt, given that tendency, and the aforementioned snarkiness, that other people would peg me as an INFP. Introvert, certainly. But maybe not the rest. Or would they, and I just don't see myself that way? All interesting questions, yeah? I think this where the Assertive/Turbulent factor comes into play. As a child I believed that everyone was good at their core. I believed that the world was what you make of it. As an adult, I still want to believe in those concepts but I know that it's not so black and white anymore. I'm a little less trusting of others. I'm a little bit darker on the inside. I guess I've just been screwed over too many times in the past to want to hold onto to that wonderful childhood Disney fantasy I once believed in. At my core, I'm still the same person but I'm much more complex now because of the experiences I've had. I first took this test when I was 18, I was an ISFJ down to my core. It felt right. I recently took it again, 10 years later, and completely switched. I'm now a INTJ. I went from a Defender to an Architect. I've NEVER met another Architect type in my life, literally ever. I read more about the Architect though and how they are at their core? It's exactly like me. I took the actual MBTI test for work in my 30s; at the time I was an INFP. Based on the written descriptions and speaking with the MBTI specialist, I was happy to be what I summed up as an absent-minded professor type. A few years after that, with changes in my life, I took free online tests that approximated the MBTI, and for some years I was an ISTJ. In 2015, I ran across 16personalities and other online MBTI clones, and since then I've been doing them every few months. 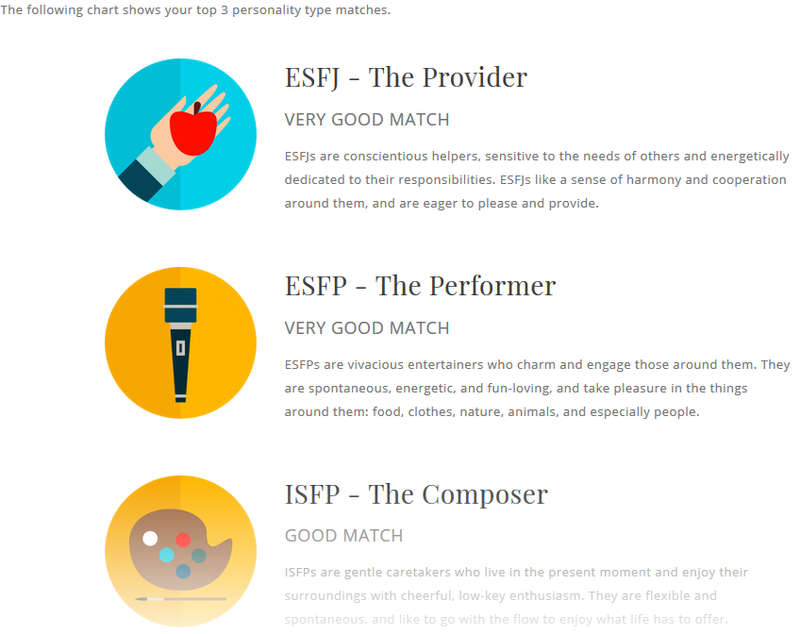 What I've noticed is that 16personalities tends to type me as ISFJ, Humancentrics tends to type me as ISTJ, and Celebritytypes tends to type me as INFJ. 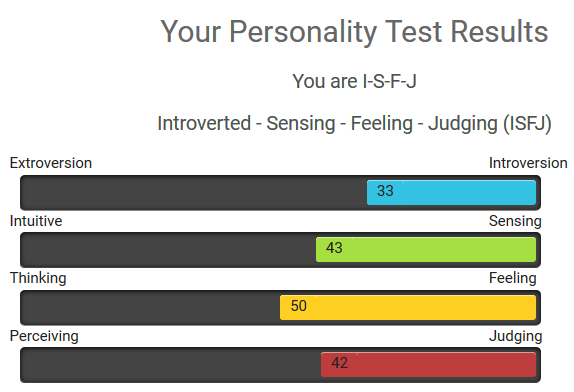 From watching the percentages and doing some research, I narrowed it down to INFJ vs ISFJ; often, my Intuition versus my Sensing has been borderline. It was also frustrating to have characteristics of both. Time and more research have made me absolutely certain I'm an INFJ. You know, that's a really good point Agravaine! Obviously different questions are going to receive different responses. As much as I feel that I am an INFJ, I wonder what results I'll get from those other sources that you mentioned. I'll have to check them out! My results with Humanmetrics: http://www.humanmetrics.com/cgi-win/jtypes2.asp, resulted in INFJ. 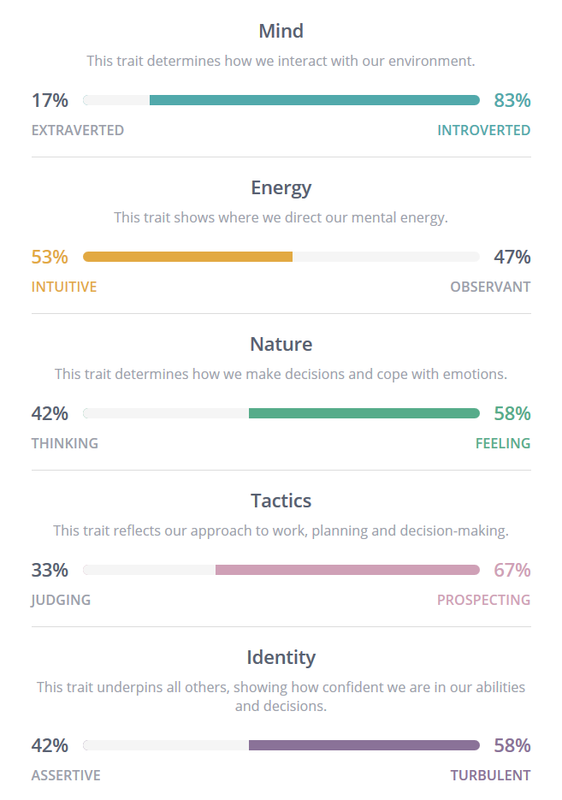 My results with Truity: https://www.truity.com/view/tests/personality-type, resulted in INFJ. My results with PsychCentral: https://psychcentral.com/quizzes/personality/start.php, resulted in ISTJ. Last edited by Niabi on Sat Apr 20, 2019 4:31 am, edited 1 time in total. Uhh link to other sources please! Have to try that. Welp. That's interesting. I wonder also how much my anxiety plays into things. It definitely affects my decision making and how I relate to people. When I'm having a particularly anxious day, I'm more rigid in my thinking, need more facts, am more logic-based, less interested in emotion because I've had just about all the emotion I can deal with. It also affects my ability to plan things. Sometimes, despite being more naturally inclined to like having a loose plan set up ahead of time, springing something on me is the only way to get me to do it. Otherwise, I worry and worry over it in advance and end up canceling because I'm too anxious about it. At least I can be sure I'm an introvert? That's consistent. We've got a strong tendency towards introversion around here, don't we? Introverts unite!